Purge Operation is the process of wiping the contents of the cache servers located on the Medianova CDN architecture. You should use purge operation If you have made any updates to your content or you want to remove a content completely and replace it with the new one. We are going to use img-example as an example in this document. Imagine you have made a change on img-example.mncdn.com/photo.jpeg , which had previously cached, this change wont be displayed till your previously cached photo.jpeg cache time expires and it gets replaced with the new one. 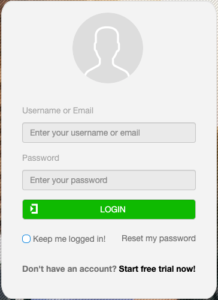 In order to make this change seen immediately on your file, you can log in to panel.medianova.com and perform a purge operation. 2. On the left side of your screen, from navigation bar click on Zones. 3. After clicking on Zones, a list of all the Zones you have created so far will be shown. 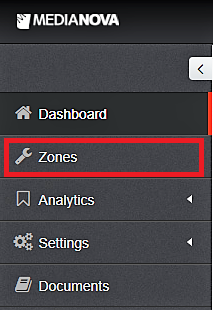 After choosing the right zone you are wishing to perform purge operation on, click on Manage and then Manage Cache. 4. In the following screen type the path of the files your would like to cache and then click on purge. your operation has been successfully queued. The operation is queued for processing and it can take up to between 5-15 min. Then the purge operation is completed. The page will load English by default. If you want to change language you should follow these steps Go to: Profiles> Languages. And you can update page’s language settings.